Hope Hall would like to extend our deepest gratitude to our long-time supporters, the Birk Family Foundation for their gift of $25,000 for our Tuition Scholarship (Violet) Fund! Their generous gift will be used as a matching gift for our Violet Fund Appeal to be launched in late June/early July. We cannot thank the Foundation enough for helping our students, over 85% of whom, rely on tuition scholarship funds to attend Hope Hall each year. 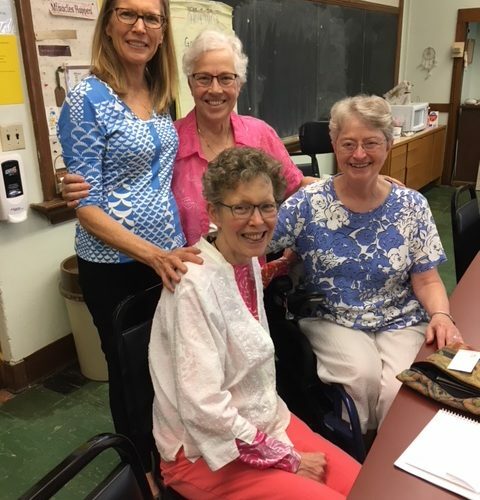 Pictured are Mrs. Mary (Birk) Colas, President of the Birk Family Foundation, Mrs. Kathy Birk, Sister Kathy Weider, S.S.J., and Sister Diana Dolce, S.S.J.